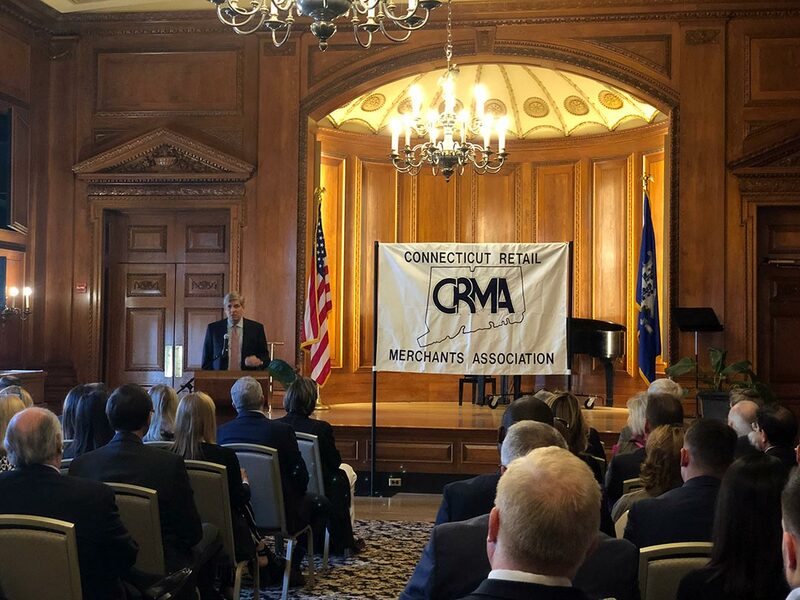 Join CRMA and retailers from across the state as we gather to honor the great men and women who own and operate retail stores in Connecticut. We recognize various retailers across a variety of businesses for excellence in customer service, marketing, and other areas of retail. This popular event includes informative seminars or updates on legislation, and while a prominent guest speaker is always well received by retailers in attendance, make no mistake about it, the CRMA awards luncheon is about the award recipients – the retailers. They are the stars of the day and we are thrilled each year to honor them. Be with us for the next Awards Luncheon! Connecticut Retail Merchants Association (CRMA) Board Chair Tom Wholley of Connecticut Mattress (left) and President Tim Phelan (right) flank representatives of the Association’s 2018 retail award recipients: Jason Kloter, Owner, Kloter Farms (Family Retailer of the Year); Brian Knies, Owner/President, Tile America (Retailer of the Year); and Greg Schmidt │Lead Manager, Workforce Initiatives, CVS Health (National Retailer of the Year). 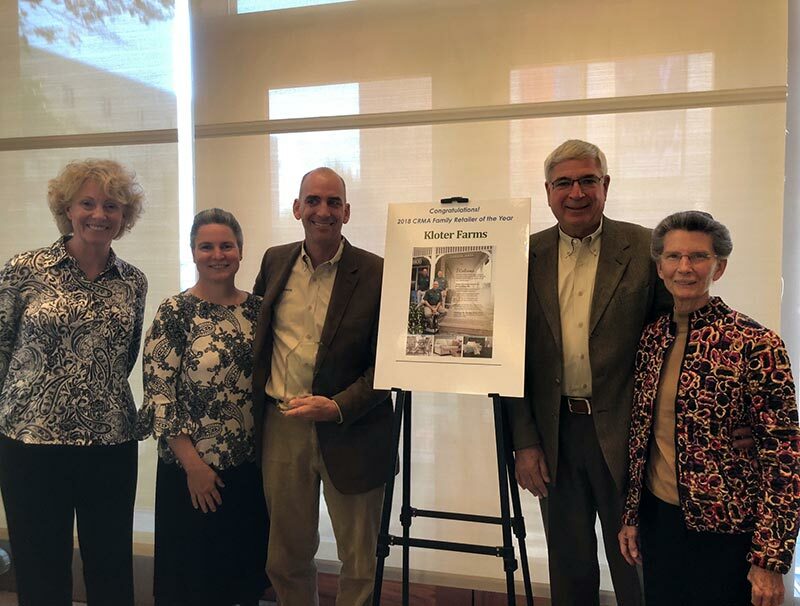 Awards were presented at the CRMA Annual Awards ceremony at The Bushnell on October 17, 2018. Members of the Connecticut Retail Merchants Association from throughout the state gather for the association’s Annual Awards Luncheon to honor leading Connecticut retailers, held at The Bushnell in Hartford with catering by Max Restaurant Group Retail businesses are a critical competent in Connecticut’s economy. There are an estimated 472,518 jobs supported by retail businesses, and Gross Domestic Product (GDP) impact is $34.2 billion – 14 percent of the state’s total GDP. Representatives of Kloter Farms, the 2018 CRMA Family Retailer of the Year, in attendance at the CRMA Annual Awards Luncheon, led by owner Jason Kloter. 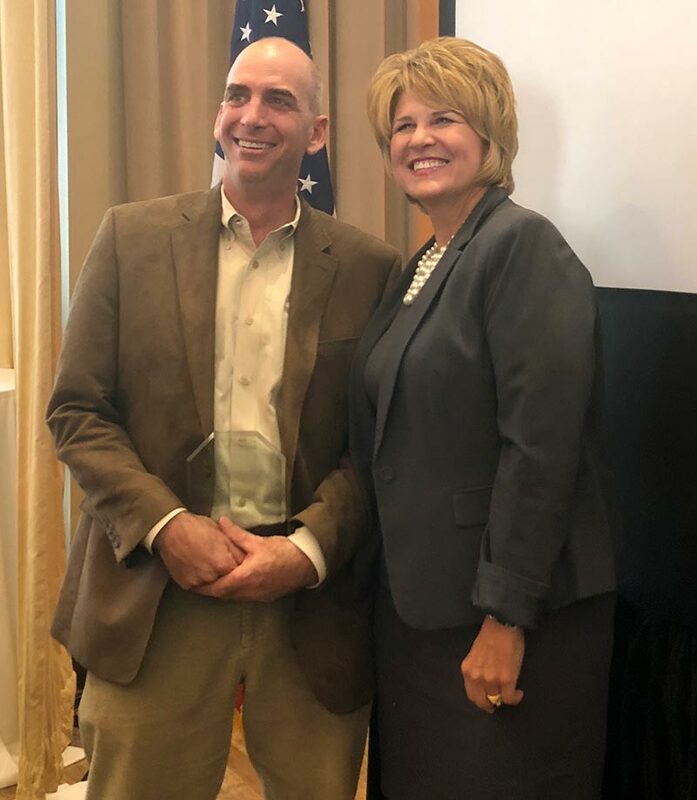 CRMA Board member Karen Munson, President, Munson’s Chocolates, presents the 2018 CRMA Family Retailer Award to owner Jason Kloter of Kloter Farms in Ellington. Family-owned Kloter Farms specializes in durable outdoor structures and patio furniture, and in heirloom-quality home furniture. 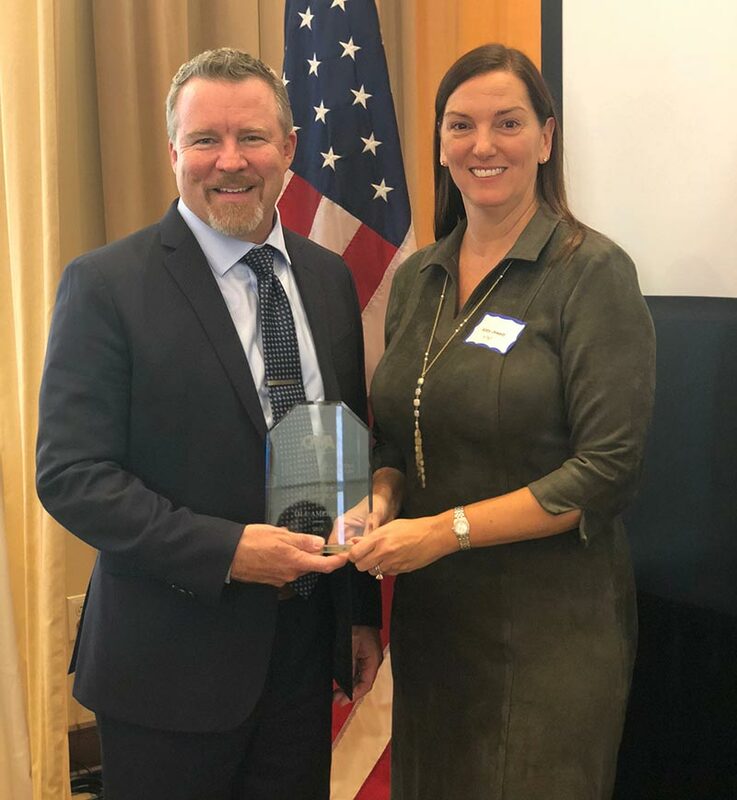 CRMA Board member Abby Jewett, Director of External and Legislative Affairs at AT&T, presents the 2018 CRMA Retailer of the Year Award to owner/president Brian Knies of Tile America. Tile America – with seven Connecticut locations, in Brookfield, Fairfield, Manchester, New Haven, New London, Stamford and West Hartford – is a 50-year-old Connecticut-based family business, specializing in tile and stone. 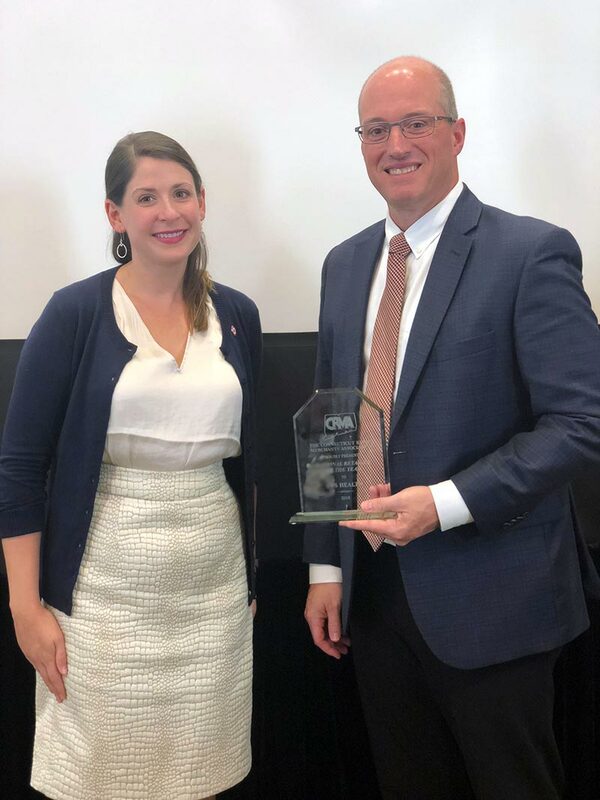 CRMA Board member Jessica Stram, Director of Advocacy-Northeast, Target Corporation, presents the CRMA presents the 2018 CRMA National Retailer Award to Greg Schmidt │Lead Manager, Workforce Initiatives CVS Health. CVS Health, based in Woonsocket, Rhode Island, is the largest pharmacy health care provider in the U.S., including a sizable Connecticut presence, with more retail locations than Connecticut has towns. Beyond its substantial retail presence, CVS has been engaged in an effort to purchase Aetna, headquartered in Hartford since 1853, and has announced plans to keep Aetna’s headquarters in Hartford for the next decade. 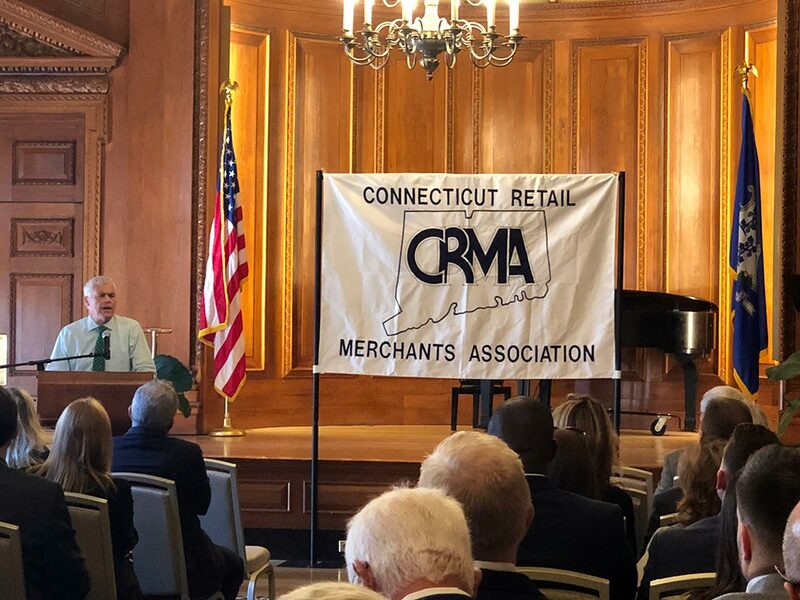 Independent gubernatorial candidate Oz Griebel address retailers from throughout Connecticut prior to the CRMA Annual Awards Luncheon. Bob Stefanowski, the Republican candidate for Governor, talks with Connecticut retailers just prior to the Connecticut Retail Merchants Association’s Annual Awards Luncheon. The three leading candidates in the gubernatorial race came to speak with retail business leaders. 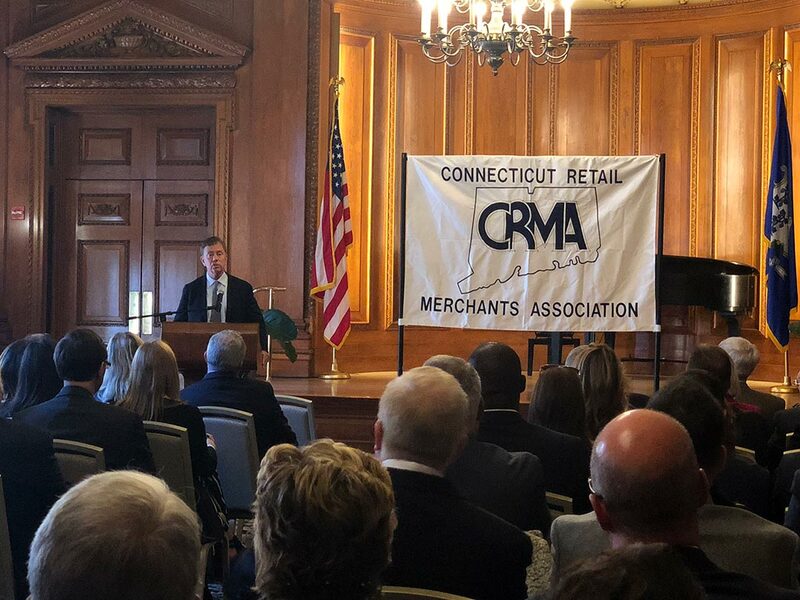 Democratic gubernatorial candidate Ned Lamont discuss issues facing Connecticut retailers at an exclusive candidates forum prior to the CRMA Annual Awards Luncheon, held at The Bushnell on October 17.